Extra-large all wood body for maximum hauling capacity. Removable wooden sides for easy in-and-out. 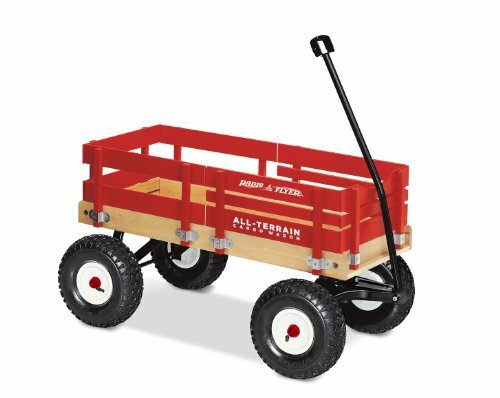 Perfect for the beach, picnics and more, the All-Terrain Cargo Wagon features our largest wooden wagon body for maximum hauling capacity and removable wooden sides for ultimate flexibility. The 10-Inch rugged air tires provide a smooth, comfortable ride on any terrain and the extra-long handle folds under for easy storage.